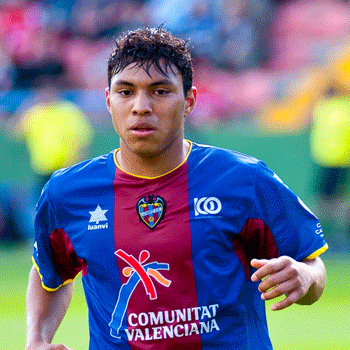 Jefferson Antonio Montero Vite is an Ecuadorian football player who plays for the national team of Ecuador as a winger and Welsh club Swansea City. He is well known for his outstanding accelerating performance. He was the son of Pedro Montero and Mercedes Vite born at Babahoyo, Ecuador. His parents had a banana farm. His youth career began from the club Emelec and from there he made his professional debut as well. His current market value is 3.3 million Euros. Since 2007, he is playing from the Ecuador national team as a midfielder. He has appeared in 38 cap matches from the team making 8 prominent goals for the team. He is a married man. He has been married to his long term girlfriend Sonia Alvarado in 2012. This couple seems to have a pretty good coordination among each-other and are happily married. Yet they don't have any children. He first played from the national team in an August 2007 with a friendly match against Bolivia. On 27 May 2009 he first scored for his national team against the match with El Salvador. Arsenal and West Ham these days are spotting the star player Montero to sign a contract for upcoming seasons. Lamar Odam is an American professional basketball player who started his professional NBA career with Los Angeles Clippers in 1999. As a member of the Los Angeles Lakers in the National Basketball Association (NBA), he won NBA championships in 2009 and 2010 and was named the NBA Sixth Man of the Year in 2011. Angel Pagan is a baseball player who plays in the Major League Baseball. His mother Gloria is his inspiration in baseball and she is also the former fastpitch softball league player. Popular and enthusiastic BMX rider from America who is well known for winning over half a dozen medals at X games. Talented and enthusiastic footballer who plays as the wide receiver in the National Football League under the team Detroit Lions. He has won several awards and accolades.